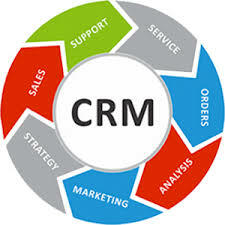 BackOffice Vi CRM is a complete Customer Relationship Management software that is a great fit for almost any company. With its clean and modern design, BackOffice Vi CRM can help you look more professional to your customers and help improve business performance at the same time. 100% Customizable and no monthly fees. BackOffice Vi CRM is a complete Customer Relationship Management software that is a great fit for almost any company. With its clean and modern design, BackOffice Vi CRM can help you look more professional to your customers and help improve business performance at the same time. Link tasks to many BackOffice Vi CRM features and stay organized. CRMs need to focus on customers and BackOffice Vi CRM does that with a powerful support system that helps you track and resolve issues quickly via the integrated ticket system and customer reminders. Assign reminders to yourself, one or many staff members and with one click, reminders can be sent to email and in-app notification system. These features and more can take customer satisfaction to the next level.